Sliske’s Endgame is the culmination of over three years of lore and quests, as players help decide the eventual claimant of the Stone of Jas and its supreme awesome power. The long-running battle of the gods is coming to an end in just one week’s time, as RuneScape launches ‘Sliske’s Endgame’. 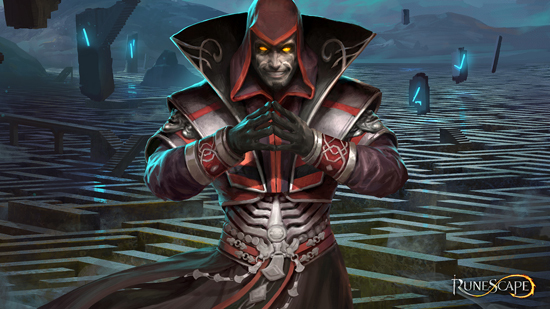 Bringing a three and half year quest line 1 to a dramatic conclusion, Sliske’s Endgame is a new grandmaster quest that also sets the scene for a major RuneScape storyline in 2017 and beyond. Sliske’s Endgame sees RuneScape’s surviving deities battle to take control of the Stone of Jas, a source of incredible power in the game’s mythos. Featuring a sophisticated story with multiple endings, each determined by every individual player’s actions in the questline over recent years, Sliske’s Endgame will also be replayable in the coming weeks– but only the decisions made on the first play through will be taken as canon. Slike’s Endgame is an exciting finale to RuneScape’s 15th anniversary year, which has seen the release of multiple major updates. These include an overhaul of the game’s visual engine with the launch of NXT, the discovery of a whole new continent in the procedurally-generated Eastern Lands, the return of RuneScape’s creators – the Gower brothers – for a celebratory quest, and the release of the concluding part of the 12-year old epic Myreque storyline.